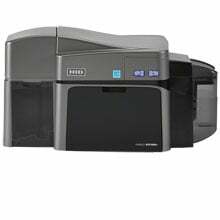 Fargo DTC1250e - Double-sided Printer with ISO Magnetic Stripe Encoding, Base Model, USB interface, includes HID Prox, iCLASS, MIFARE/DESFire, and Contact Smart Card Encoder (Omnikey Cardman 5121 and 5125), Three Year Printer Warranty. This part is also known as 050116. 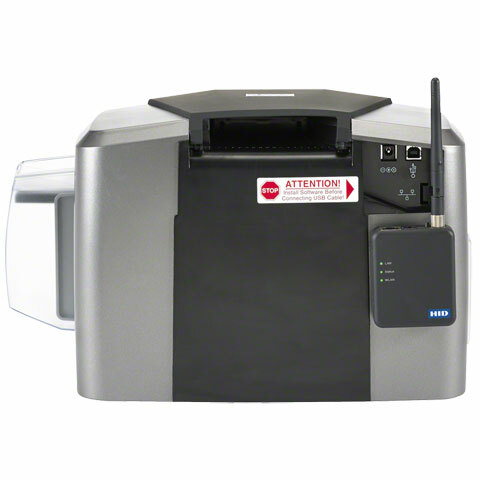 Designed for small-to-medium businesses, the DTC1250e provides maximum efficiency in a sleek, user-friendly design. 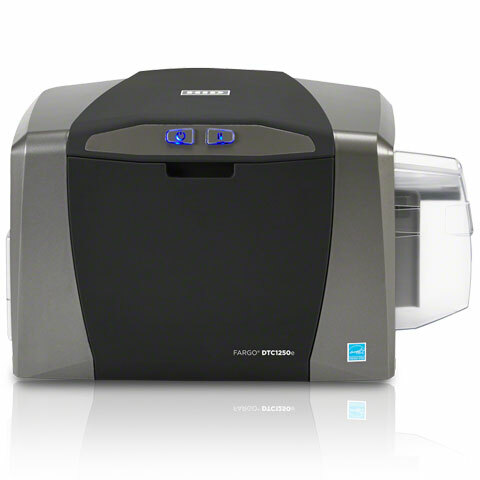 This printer is virtually maintenance free and prints full-color, plastic ID and technology cards on a budget. Full Color (YMCKO) Half Panel Refill Ribbon with Cleaning Roller, 350 images on environmentally-friendly ribbon choice. The ribbon is used to print in a variety of colors: yellow (Y), magenta (M), cyan (C), and black (K). The remaining overlay (O) provides an extra layer of protection for the card. This ribbon is used to print text and full color images on one or both sides of the card. Compatible with C50 and DTC1250e. This part is also known as 045029. 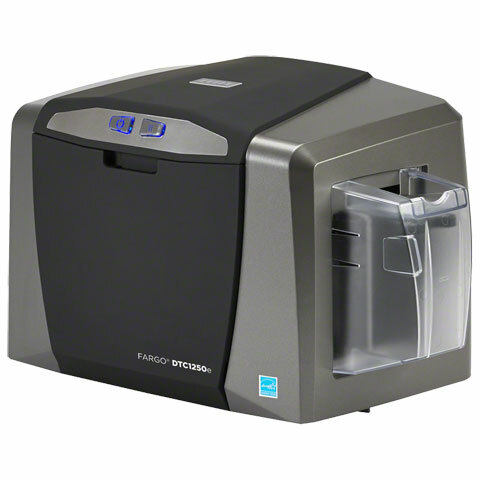 The Fargo 50116 is also known as Fargo Electronics	50116	.